Patternway iBPMs is an intelligent business process management suite that provides the cutting edge technology to assist businesses and organisations to be more efficient and effective through optimising the management of their business processes. 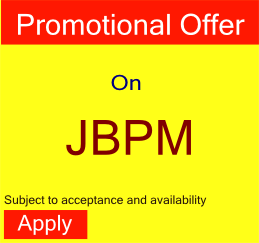 It extend the concept of business process management and workflows to provide a holistic approach to managing enterprise business processes through process languages such as BPMN and BPEL. 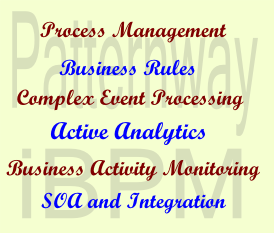 Patternway iBPM encompasses the most cutting edge technologies to provide a first class intelligent business process management solution to challenges in business management. 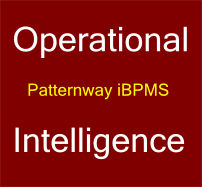 Patternway iBPMs provides the BPM solution within the operational intelligence technology. As part of an operational intelligence suite, the Patternway iBPM suite provides the capability to define and manage policies across the enterprise, apply the policies to events, and then take action accordingly. It is a key component of the Operational Intelligence solution that enables organisations to leverage the analytics provided to make immediate decisions and carry them out both automatically or manually through human interactions. 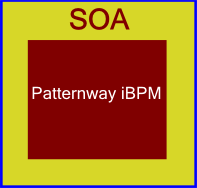 Patternway iBPMs is the business layer on top of the SOA infrastructure and orchestrates the services exposed by the SOA architecture and uses SOA for its development architecture and integration strategies. Service Oriented Architecture( SOA) is a software architecture design pattern which is based on service orientation design and principles. It provides the blueprint, infrastructure and a flexible set of design principles which are used during the systems development and integration phases of BPM projects. 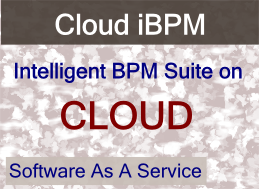 SOA enables the creation of platform independent and enterprise cloud solutions and as such Patternway iBPMs implements SOA for its development architecture and integration solutions. 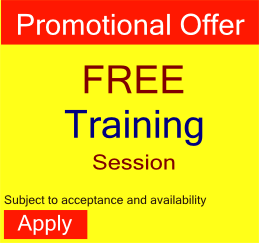 We offer training courses on SOA and BPM that covers application of SOA and BPM in enterprise application development. Data (pattern) mining functionality is at the heart of an intelligent decision support system. Such system advise on best decision route depending on the results of its data mining analysis. Patterns describe related sets and subsets of data. It can be guaranteed that there will be patterns In any given set of data of a reasonable size. The challenge is to recognize and extract those patterns. 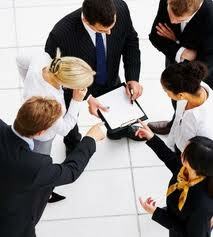 These are done through number of technics in data mining such as classification, regression and clustering. Software based on such algorithms and processes are developed to enable users extract patterns from data. 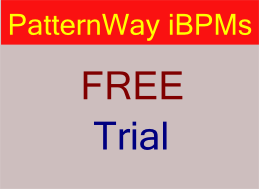 Data mining, pattern mining and process mining play a central role within Patternway iBPM which includes a suite of toolsets that uses active analytics to extract patterns and perform predictive analysis.